Another year has come and gone and I find myself staring in to the abyss of two long months without Busch Gardens Williamsburg. The cold dark winter sky looms over me as a coaster-less depression rolls in. Yet amidst the gloom and leafless trees, I reflect upon 2013 with fondness. 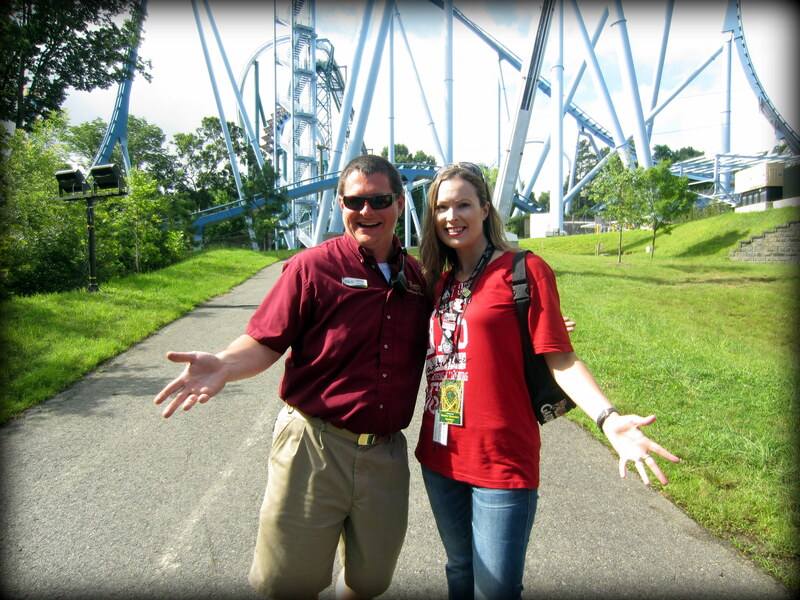 I will declare 2013 as another new chapter in my experiences at Busch Gardens. Through the broad reaches of the internet, I will call it: The Year of Friends. Before social media came around, it was a lonely road roaming around the park. A good analogy of this isolation would be as if I only person who showed up to a sci-fi convention in costume. No matter how many times I went with friends in years past, no one shared my level of enthusiasm. That is, until now. Starting a community fan page was something I had wanted to do for quite some time and thank goodness I took the plunge! This year I connected with a family of enthusiasts that made me feel at home. At last, I could be myself and no one would think odd of me. It was refreshing and glorious! The first event in 2013 was Pass Member Preview Day. It was a cold wet March morning, yet I was honored that so many fans gathered into a huddle to start the day off right. For those who have never been to Pass Member Preview, it is scheduled the day before the park opens to the general public and usually features presentations scattered in various locations. The presentations are designed to inform season pass members of what to expect for the new operating season; call it a teaser trailer. 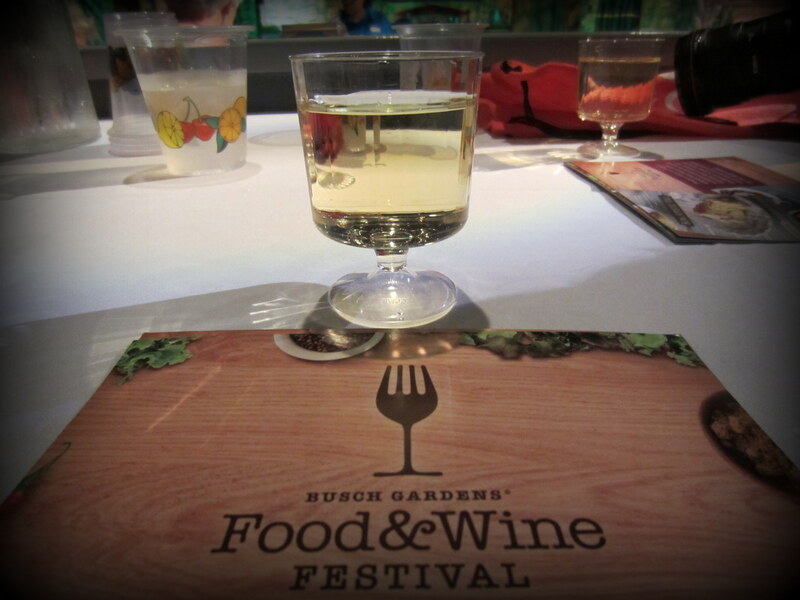 This past year’s preview consisted of promoting the new Food & Wine Festival; something I could barely contain my excitement about. When the event arrived, I was not disappointed! I instantly feel in love with the event, the food, and the atmosphere. 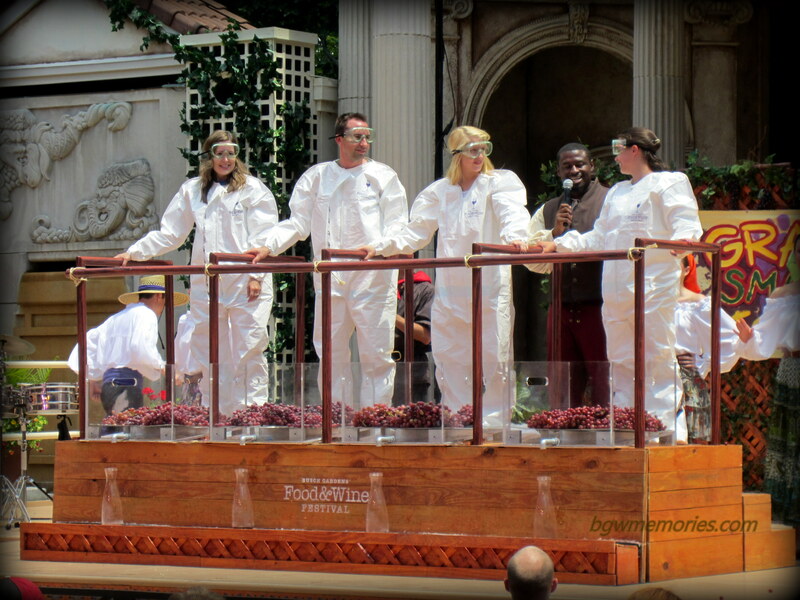 The Food & Wine festival was almost like a special gift given to the loyal guests of the park. I would even say it was a very successful enticement for many locals to come out to enjoy the spring weather by tasting European themed dishes and to pair them with various wines and beers. Hello? Awesome! As a local and an avid park goer, this event was my favorite all year. I felt a constant draw to the park just to enjoy the simple pleasures of food, wine, and the company of dear friends. It almost brings to mind the TV show cheers, where everybody knows your name; where the bar is Grogan’s Pub and the entertainment was Celtic Fyre and the Killarney Village Band. I love the Killarney Village Band! My friends and I also acquired a new favorite place to congregate during the event; Aquitaine, France! Before the Food & Wine Festival, the hamlet of Aquitaine consisted of a brief stop for a ride on Griffon. Yet with the wonderful addition of the Aquitaine Village band, a lovely reinvention of Le Belle Maison shop with the best wine expert in the area, and the charming French Waiters, my friends and I found a new home! So many hours were spent enjoying wine, singing Oh la la with the band and taking in the scenery of twisting vines while the enticing smell of crepes and coffee lingered in the air. Oh la la indeed! I felt that the Old Country had returned from these small touches of unique experiences. Our group felt full of anticipation for each day that we would all converge upon our favorite table to discuss life and Busch Gardens. 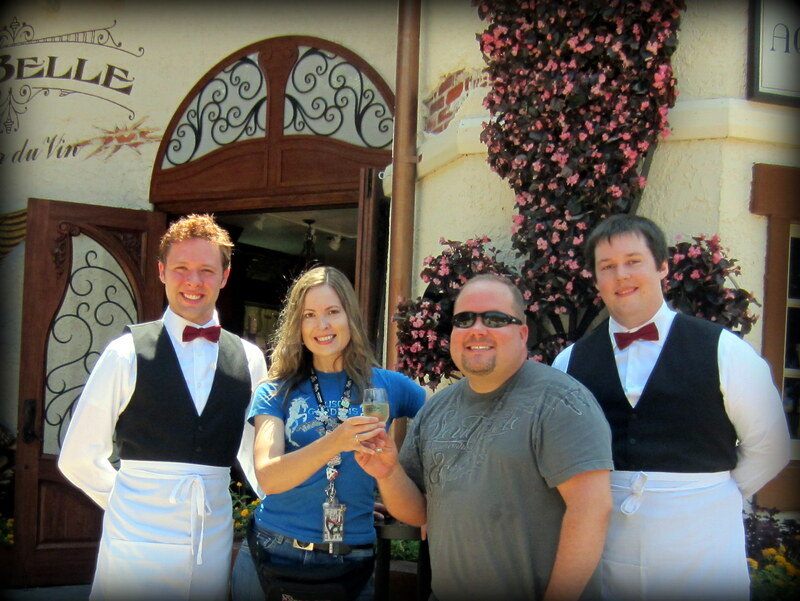 I would also like to mention my other favorite addition during the Food & Wine Festival: the Wine on the Rhine cruise. The price of the cruise was extremely affordable and included a sophisticated snack of cheeses, chocolates, and a wine of your choice. 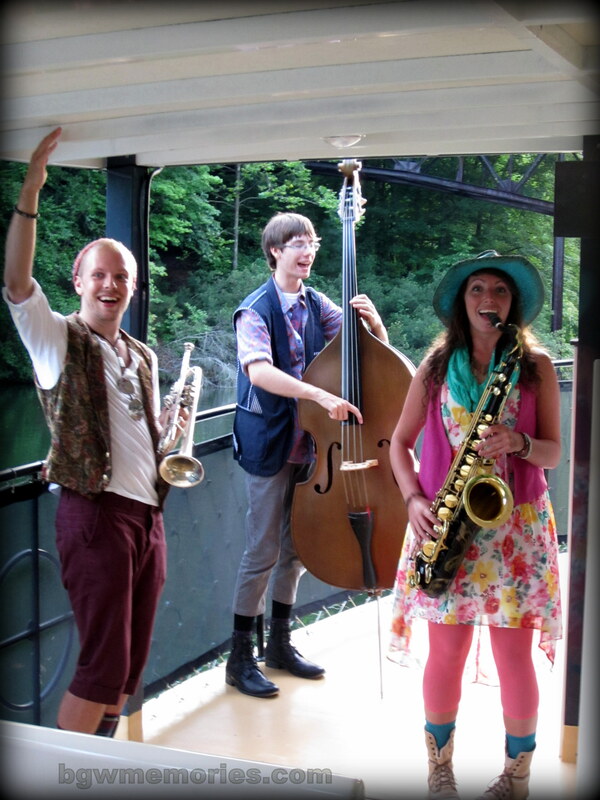 A charming band serenaded your journey. It is romantic and a relaxing way to your evening with friends or that special someone. With the new event, let us not forget a coaster legend reached another milestone in 2013. The Loch Ness Monster, celebrated its official 35th anniversary. I planned a mini gathering of fans and even had a poster made for Nessie’s birthday to honor the old girl. 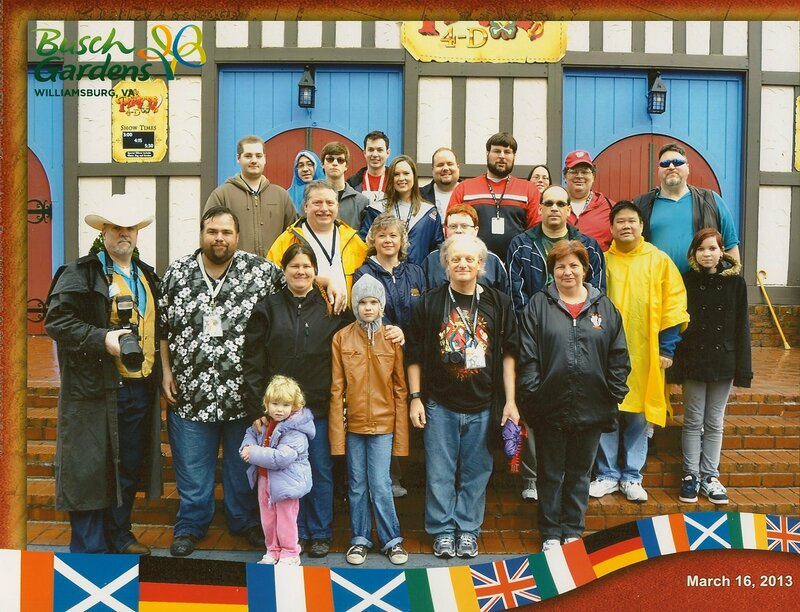 That anniversary morning, the “usual suspects” as I call us, ran into the gates to be the first to ride Nessie that morning. 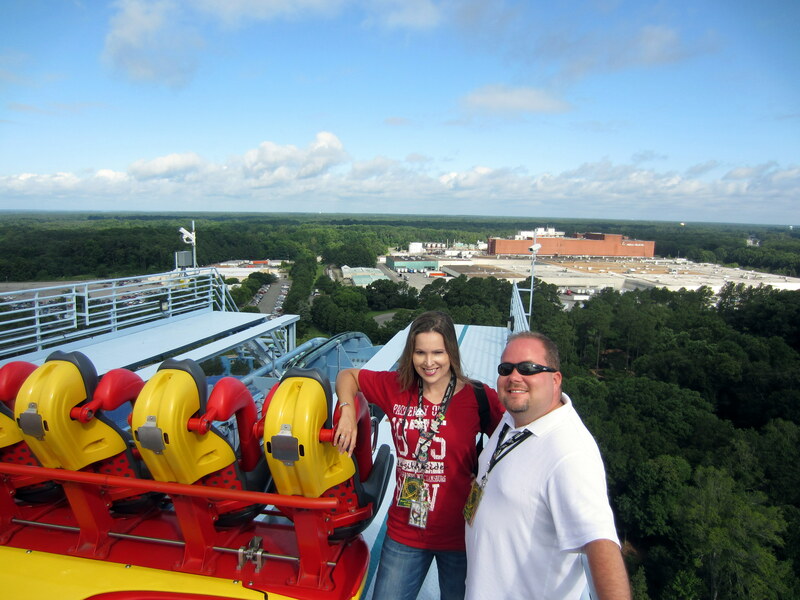 The park had also decided to celebrate this moment by offering the first 100 people an anniversary tee shirt as well as a chance to be recorded on the celebratory 1st ride of the day. I was so extremely honored that my best friend and I made it to the front seat! Trust me, we ran hard to earn that spot! Looking at that photos taken that day, it is easy to see the love and appreciation for Nessie. May she live long and remain forever in our hearts! 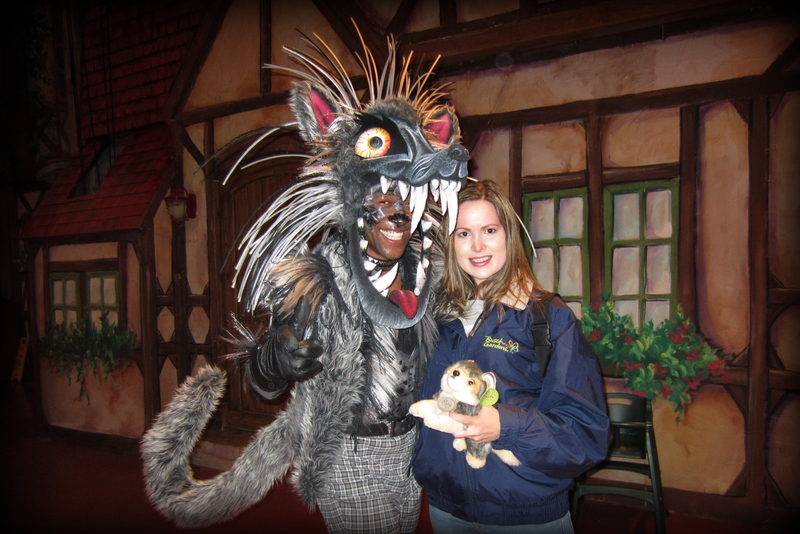 I would like to randomly insert another favorite memory of 2013; one of my favorite performers took the time to come take a photo with me in his Big Bad Wolf costume. Anyone who has read my blogs knows my love the classic coaster that once traveled at the “speed of fright” but also for the singer that played the part in the show Entwined. It remains one of my favorite pictures of the season! 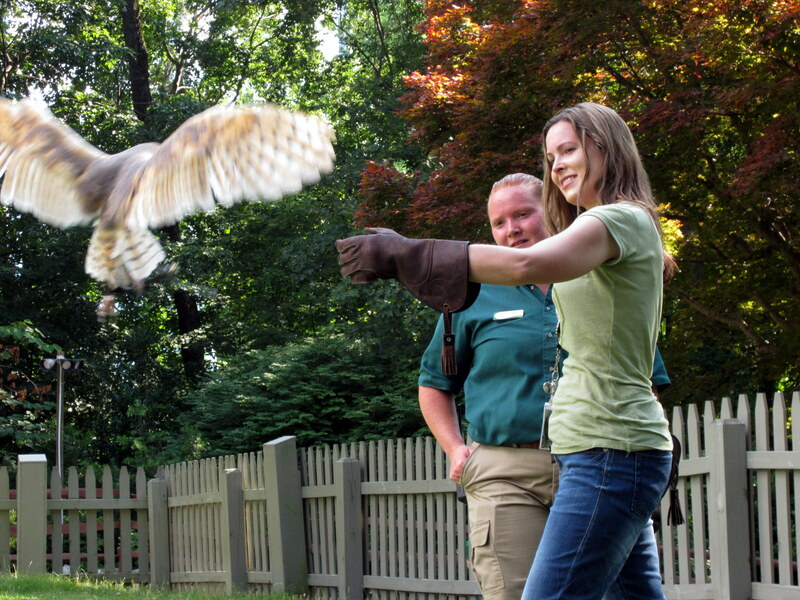 During the summer, I took several behind-the-scenes tours that I highly recommend. 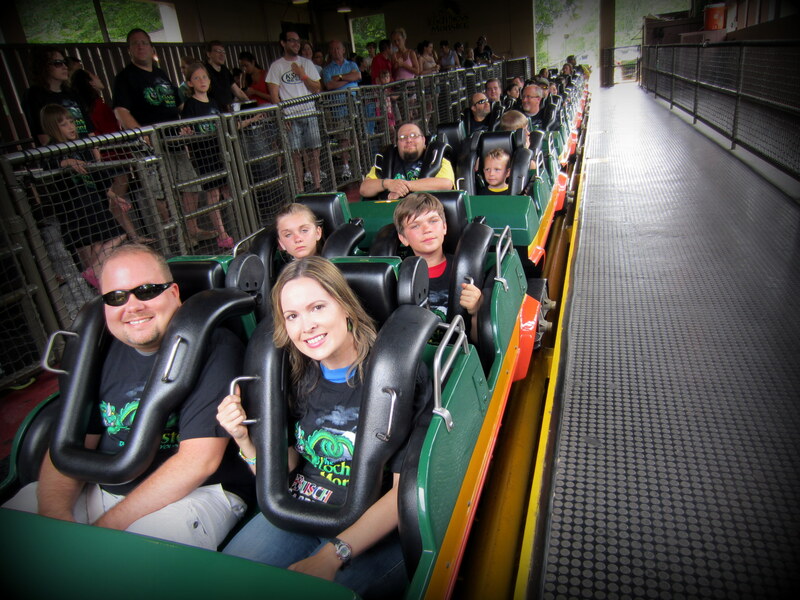 Attending the Bird of Prey Tour, The Ultimate Insider Tour, and the Coaster Tour with fellow park enthusiasts was well worth my time and money. 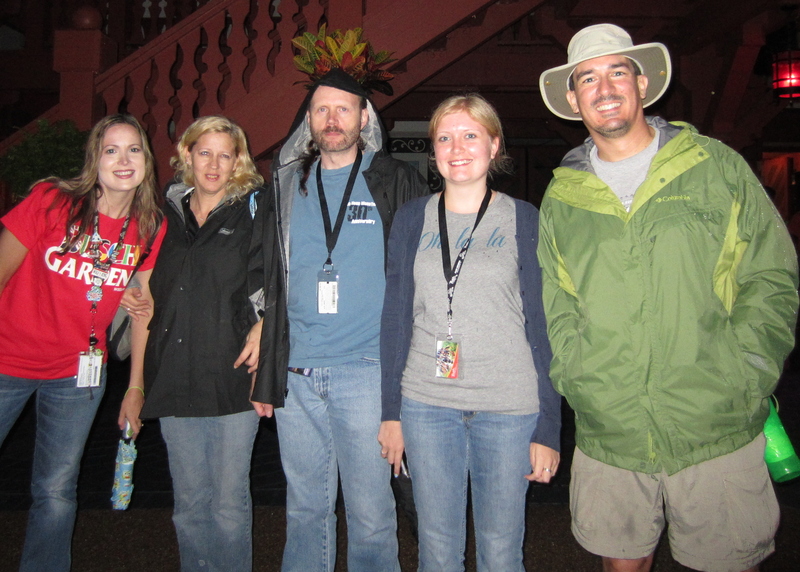 Our tour guides were fantastic and the memories that were made will last forever. I have written reviews of all the tours on my Blog and please read them at your leisure! 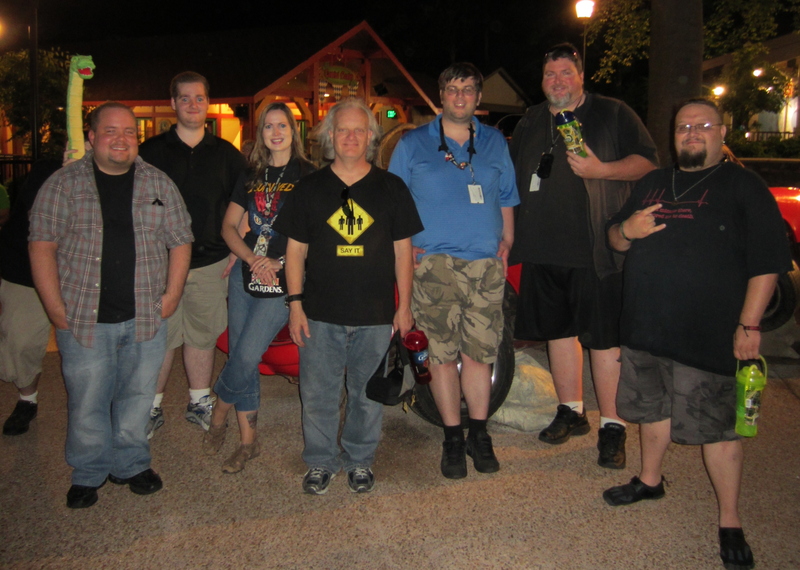 Bobby made our Griffon adventure fantastic! The regular season still held more adventures! 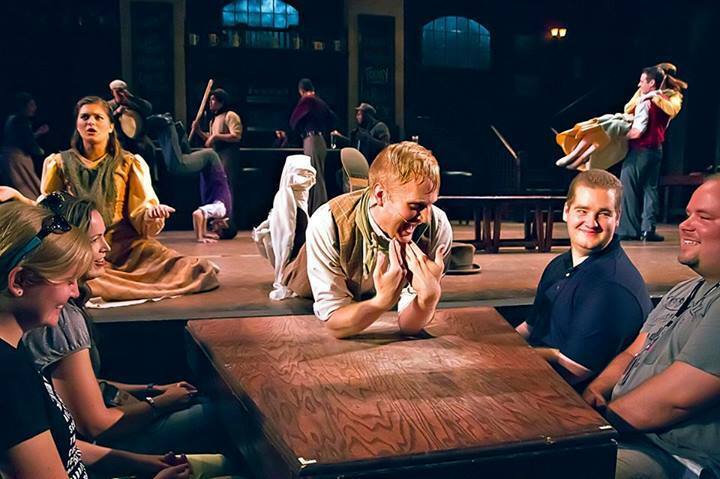 My friends and I were able to catch the last show of “This is Oktoberfest.” For me, the show is a true representation of the Old Country era of traditional German Festhaus music. My favorite memory was being selected to dance the Polka one last time with one of my favorite performers; again- another one for the memory books! 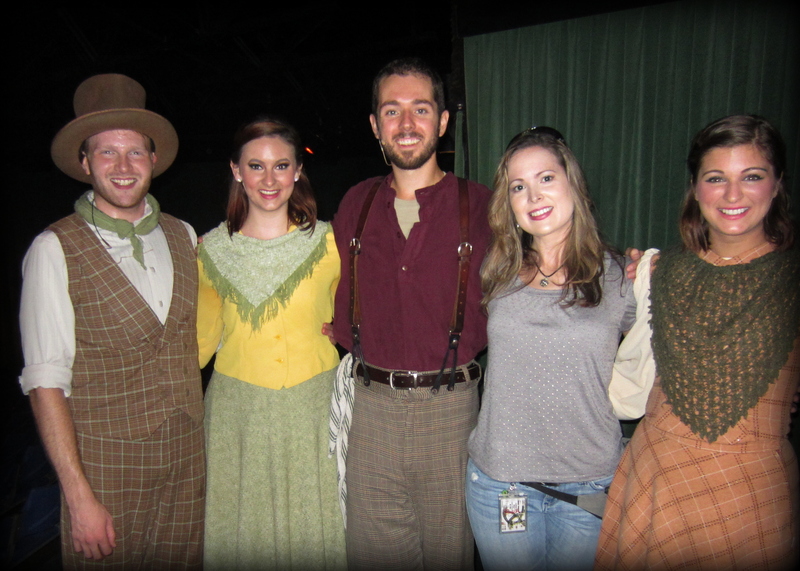 It was a touching and fitting way to say goodbye to a show I loved so much for the 2013 season. 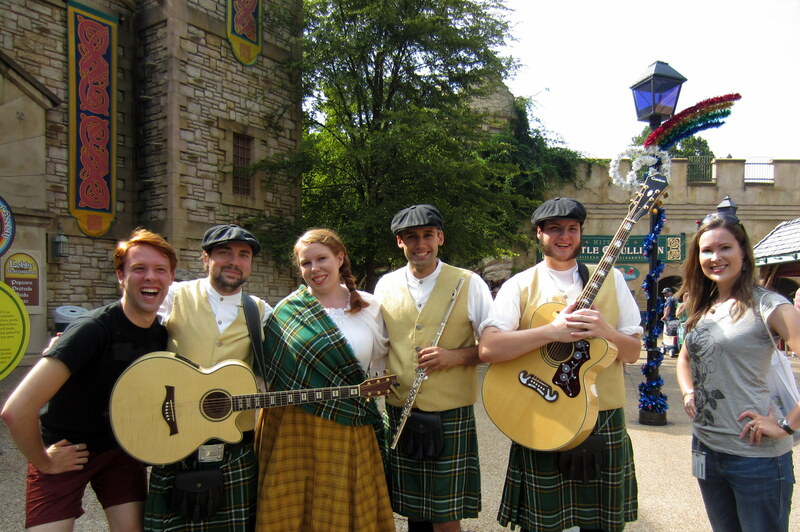 Not only did our band of park enthusiast brother’s and sisters enjoy the last of “This is Oktoberfest” and “Entwined”, but we also gathered to enjoy the final performance of Celtic Fyre. We had so much fun and the cast was so touch by the showing of love and support from their fans. 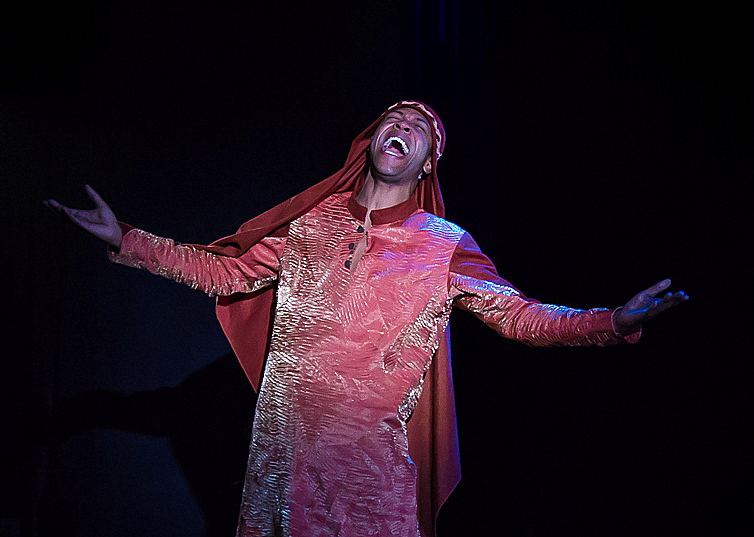 Many of the 2013 cast has moved onto new ventures but their place in our hearts will never be forgotten. 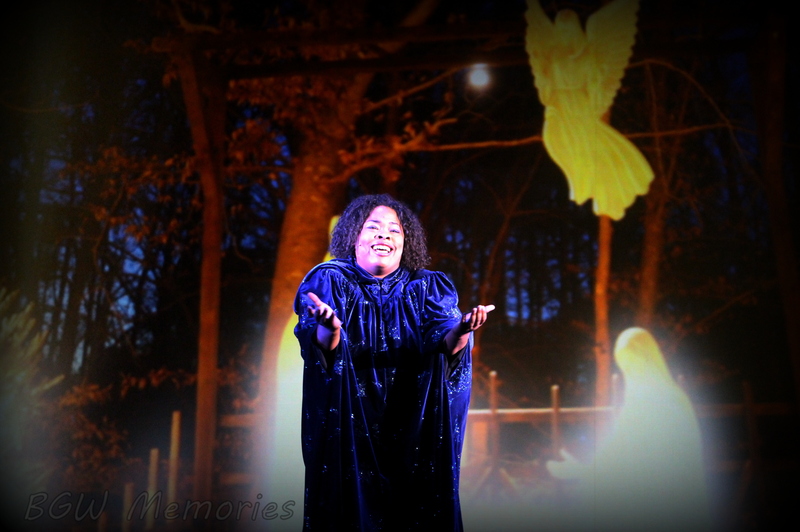 Thanks to Roy Richards for this wonderful moment of Celtic Fyre! Thanks for the memories to all who made the regular season shows full of joy and magic! Best of luck to all of you who are returning and those moving on. Our love and wishes go out to you all. The crowd of fans gather! 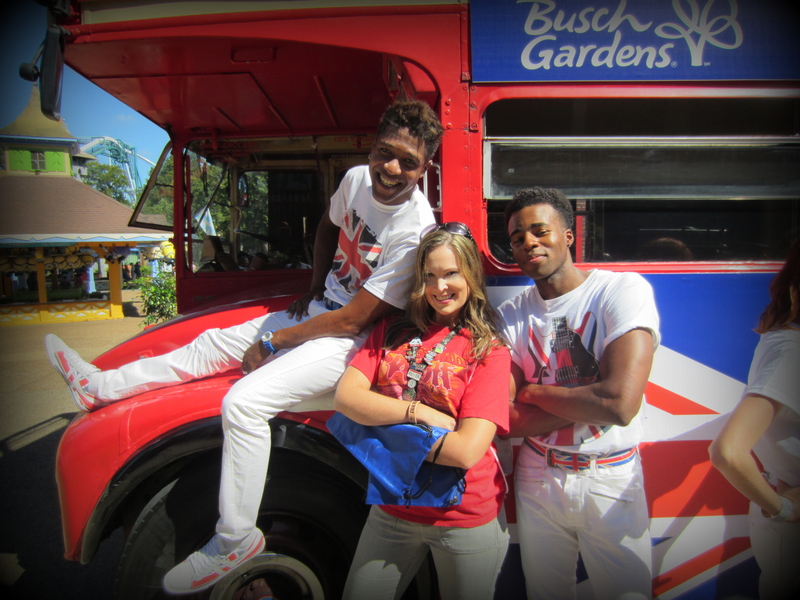 After the presentation, the performers came out in a vintage double-decker bus to have a meet-and-greet with the fans. Obviously, this was my favorite part. These are my boys! Love you guys! The last event I attended in the summer was Wild Days. 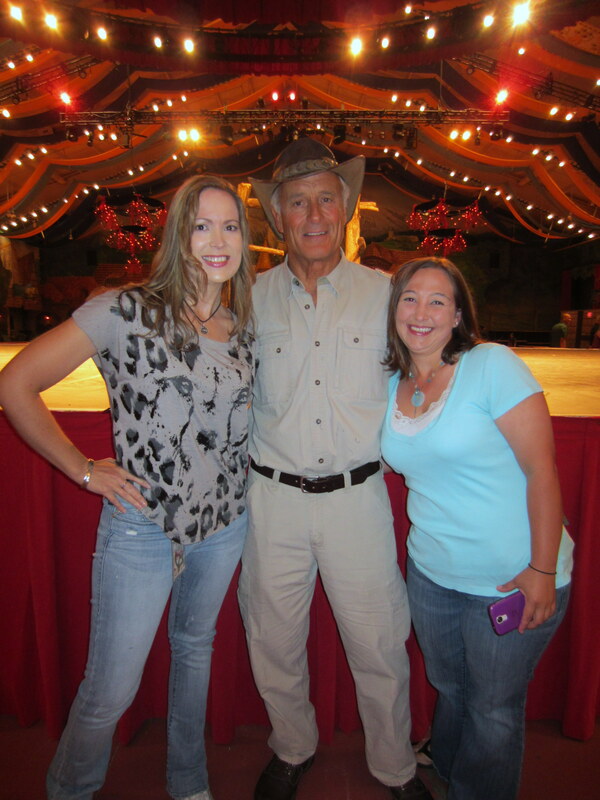 A ticketed event of either a breakfast or lunch will include meeting Jack Hanna and a close encounter with exotic animals. I have never missed this event and plan to continue the tradition every year! 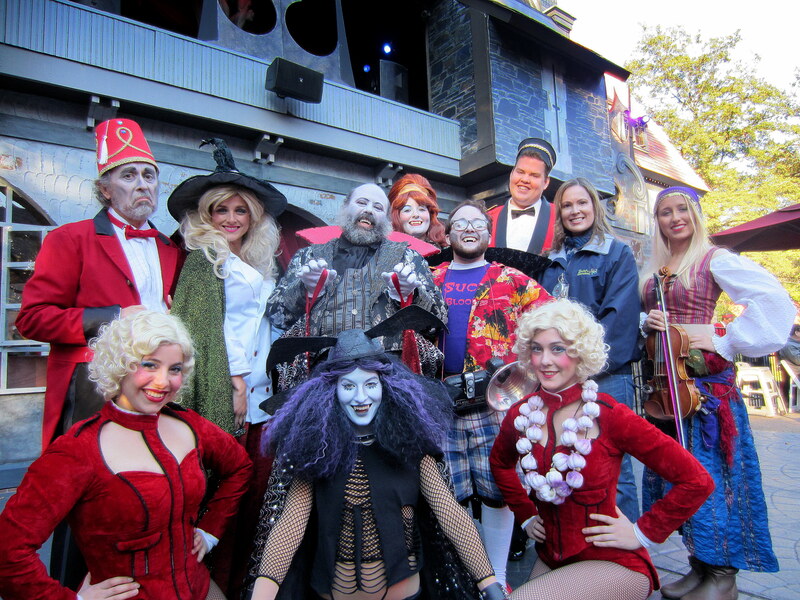 After the summer, Howl-O-Scream seemed to arrive overnight. Truth be told, I loved the new Terror-tory Concept and the more adult themed atmosphere. Entertainment was key in 2013 with classic shows, bars, and a new location worthy of a special note. My absolute favorite was Blood Banquet! 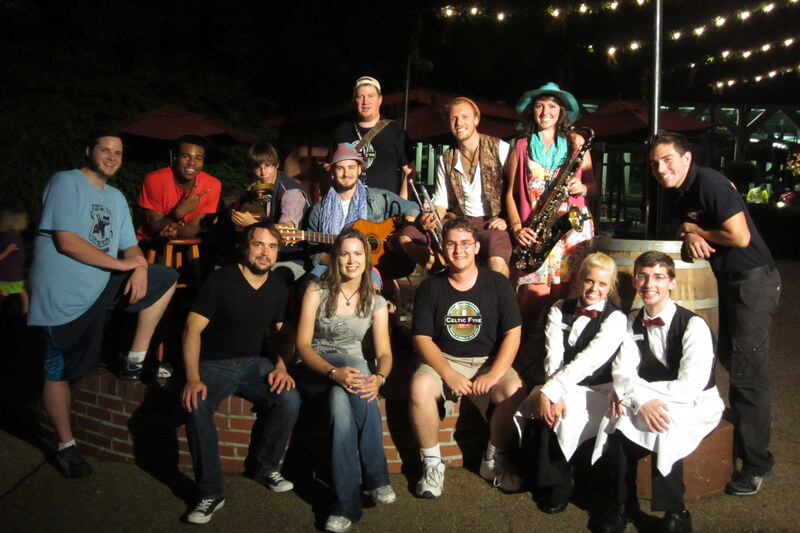 The concept of a “dinner theater” has been something I have wished for! Luckily, it far exceeded my expectations! 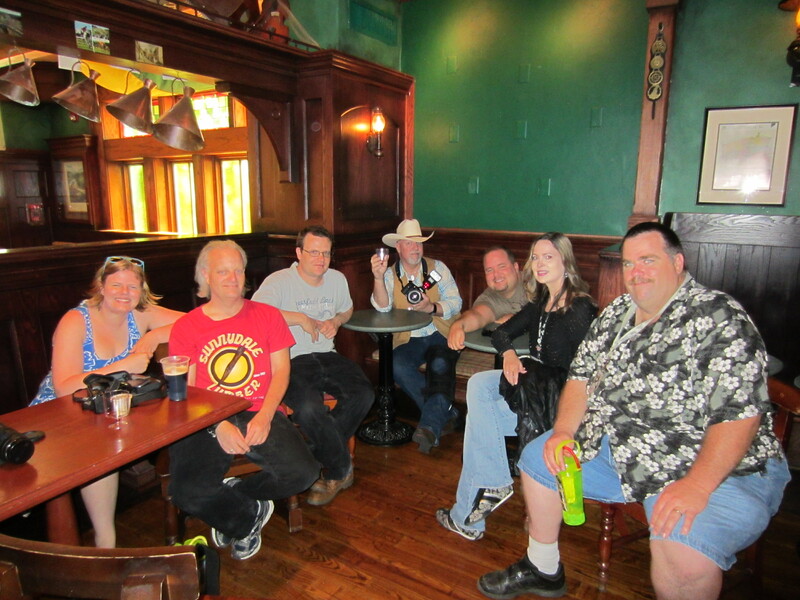 In fact, my friends and I became regular attendees. I adored the cast and their enthusiastic portrayal of an eccentric band of vampires, gypsies, and glamorous beauties. The food was the best in the park and I pray that next year the concept continues to expand with our lovely cast of characters. My love to all of you! Fangs for the memories! The last tango~ a lovely moment captured by my friend Frank Forrester. 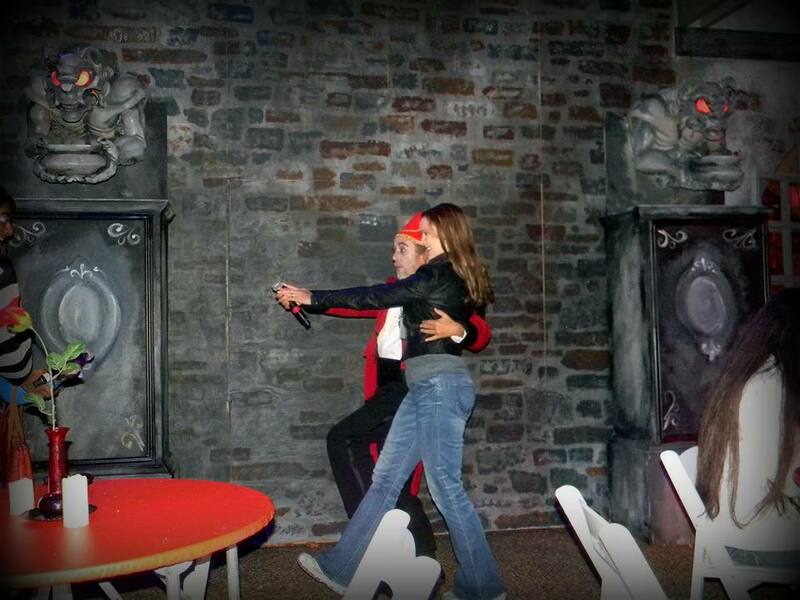 Of course the shows Fiends and Night Beats were our other favorite haunts. Our group tended to enjoy the warmer indoor aspect of the shows and the quirky arrangement of tunes catered to fabulous vocal talents. It takes color, choreography, musical ability, dance, composition, and a strong concept to make a work of art like Fiends. 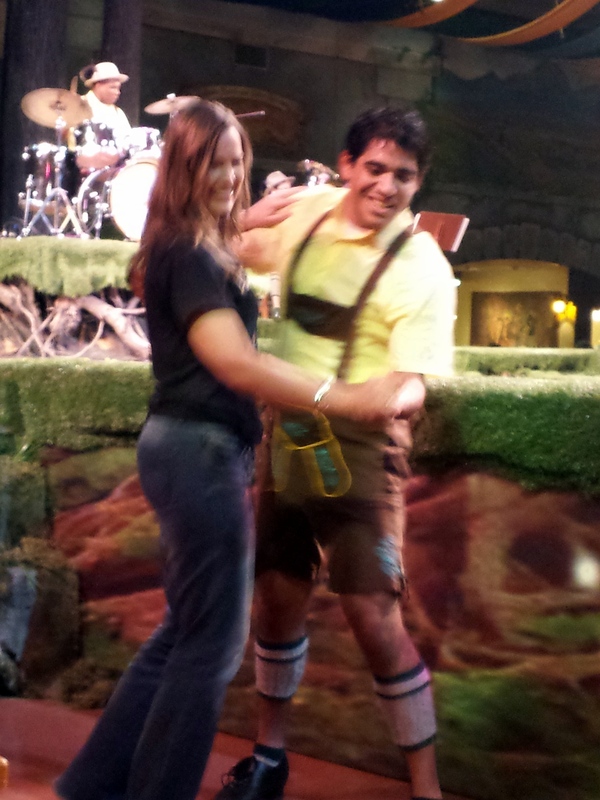 OK, I have to mention the highlight of my Howl-O-Scream entertainment experience. 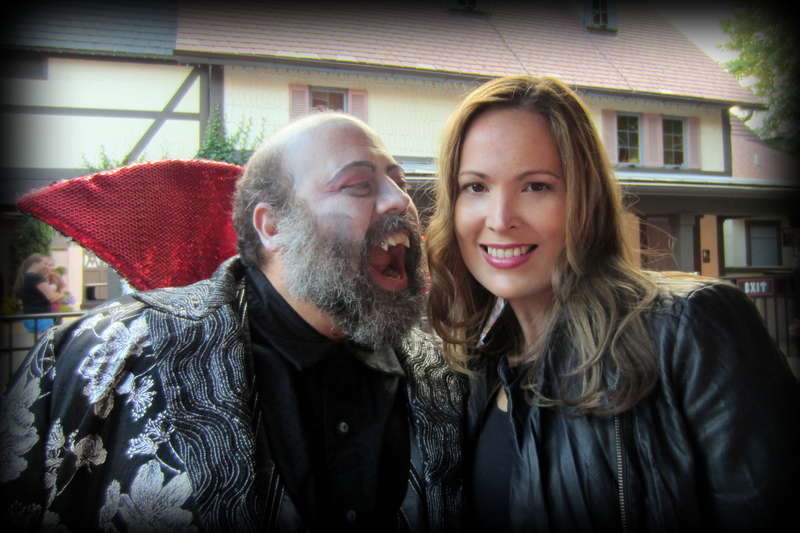 I was called up to have none other than Night Beats lead star, the vampire host with the most, Ulrich himself! I totally made me swoon with delight! For the record, he is an enchanting vocalist. Wow. 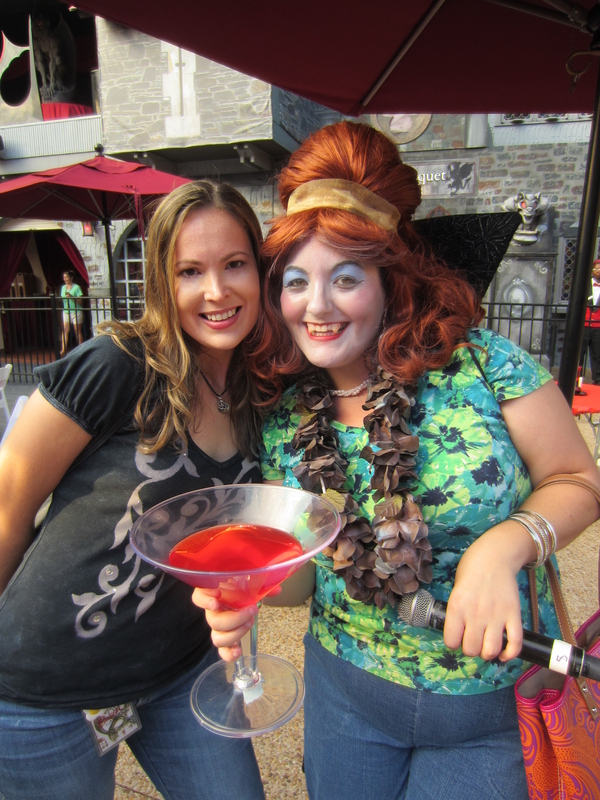 * I wrote two Blog Articles about Howl-O-Scream this year if you wish to see more of the event in greater detail! After Howl-O-Scream ended, Christmas Town began. As always, friends gathered for the opening day without disappointment. The weather was perfect and the park looked lovely as always. Our first destination was to see the very first show of Gloria! Two words; BLOWN AWAY! We all were in quiet awe before erupting in a standing ovation. The power of the vocals brought chills and even caused me to shed a few tears. 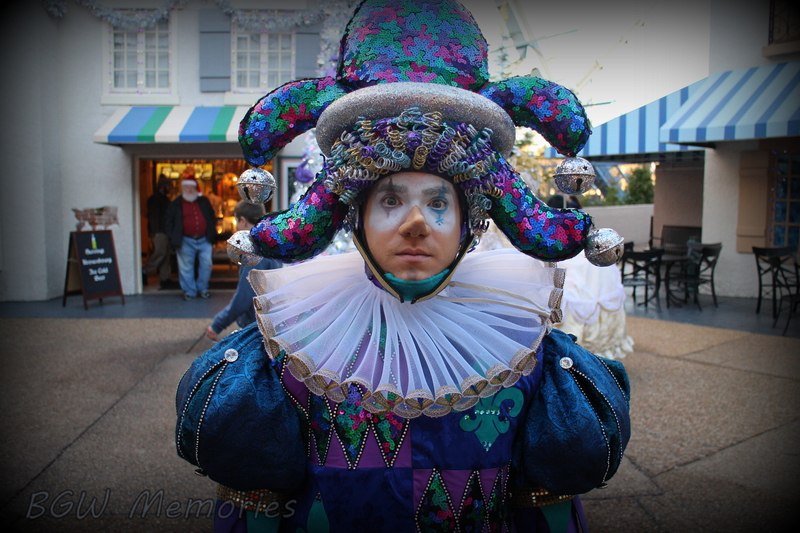 Aquitaine France had a new look for Christmas Town, and for the better. 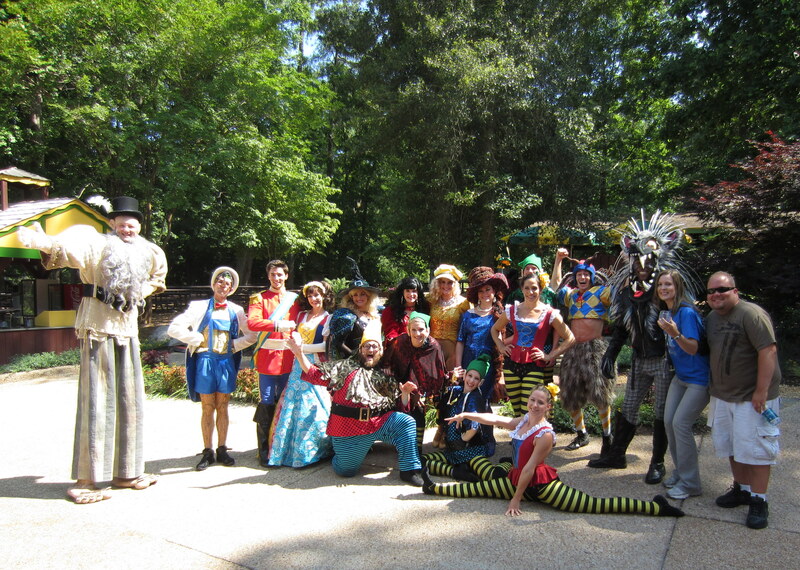 My favorite addition was the roaming performers, The “Royals of Aquitaine.” Her Majesty Queen Florette, His Majesty King Francois,, and the lovable Jester Harlequin with his sidekick Jester junior, brought smiles to everyone! 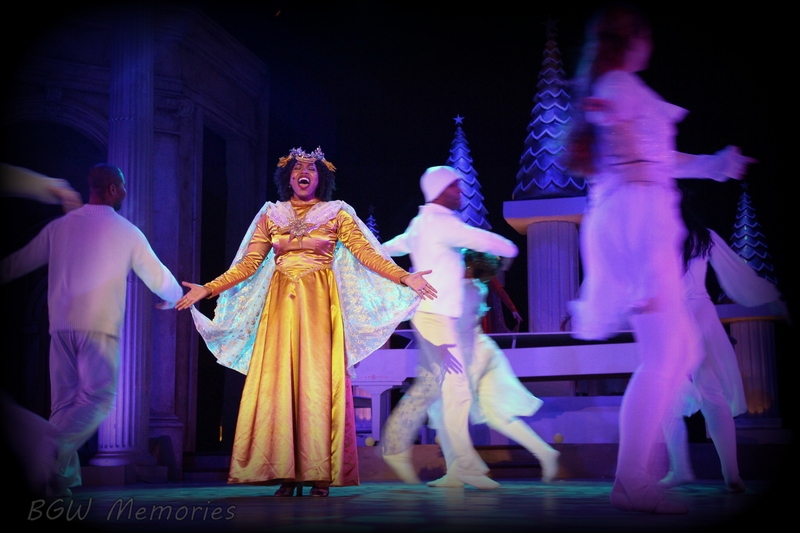 This kind of entertainment sets Busch Gardens apart from the competition and never fails to create fond memories for guest. Bravo to the trio! 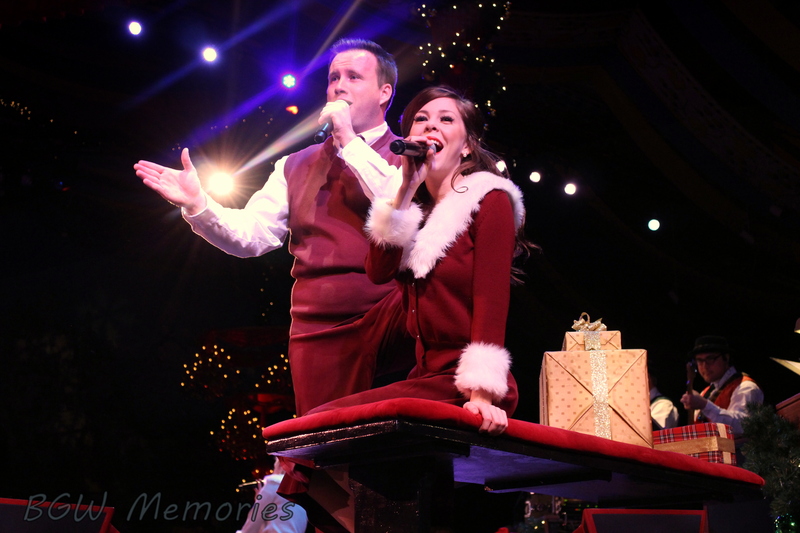 They were certainly the crowd favorite this year! 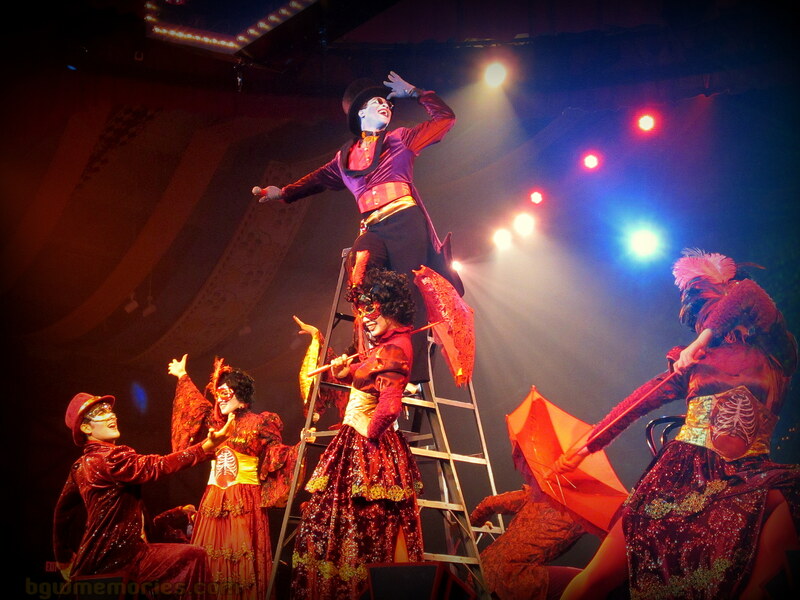 Moving on from France, the show Deck the Halls in Oktoberfest has always been another fan favorite. 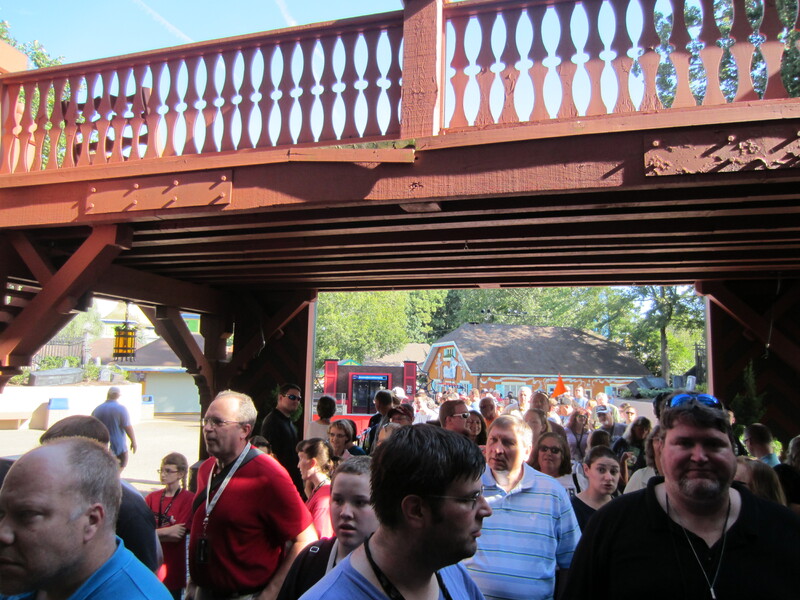 So much so, the the park had to close the Festhaus frequently as it would continually reach capacity. The talent is always top notch! 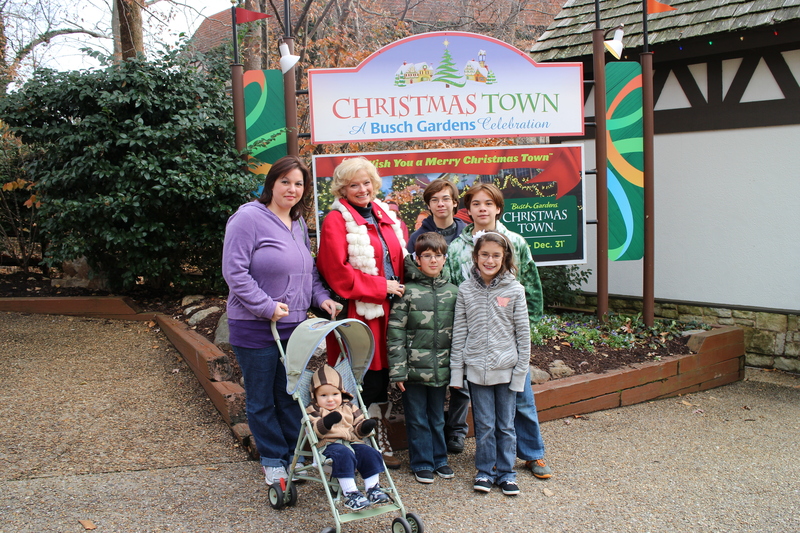 Christmas Town is also more than entertainment, shopping, and lights. 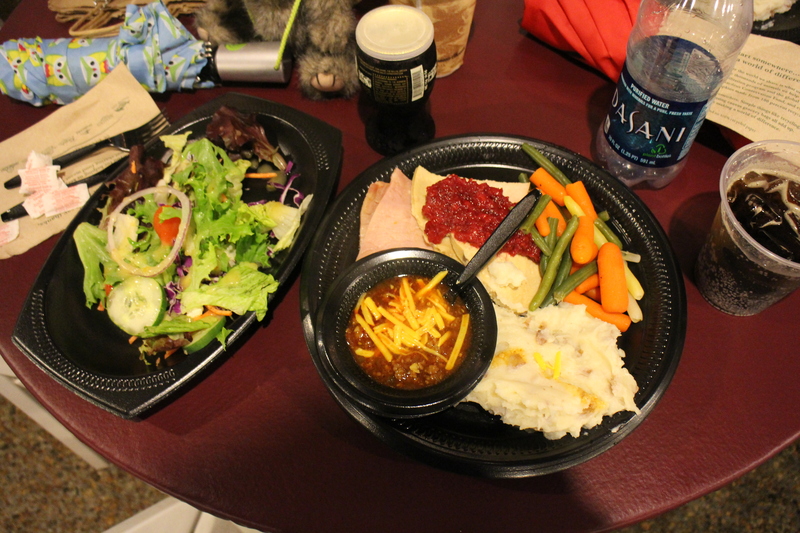 I would like to mention that an outside the Festhaus a delicious all-you-can-eat buffet was open on occasion. Tucked away; I found it a very affordable hidden gem. My only complaint was that I wished it had been open every night as I would have gone everyday. The food was so good and I even met a few new friends while waiting in line. Oh, and there was ham. Glorious Glazed Ham! 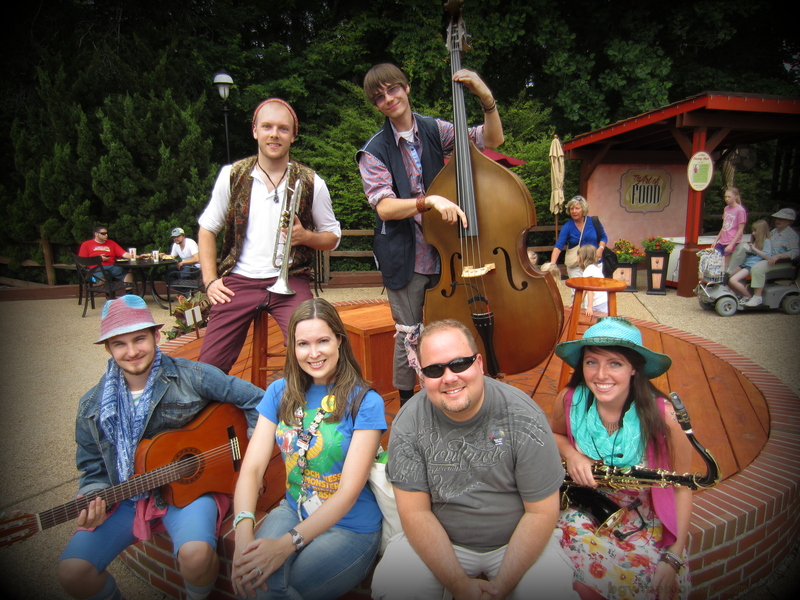 From Germany and continuing into the San Marco Theater of Italy, the show Miracles was performing with the usual flair of inspirational music and talent. My favorite is always the vocal solos, the ballet dancer, and the finale! One can never leave without feeling that Christmas is more than gifts; it is about love and togetherness. Speaking of togetherness, a friend of mine decided to embrace the Christmas season of giving to a family who normally could not have enjoyed Christmas Town. 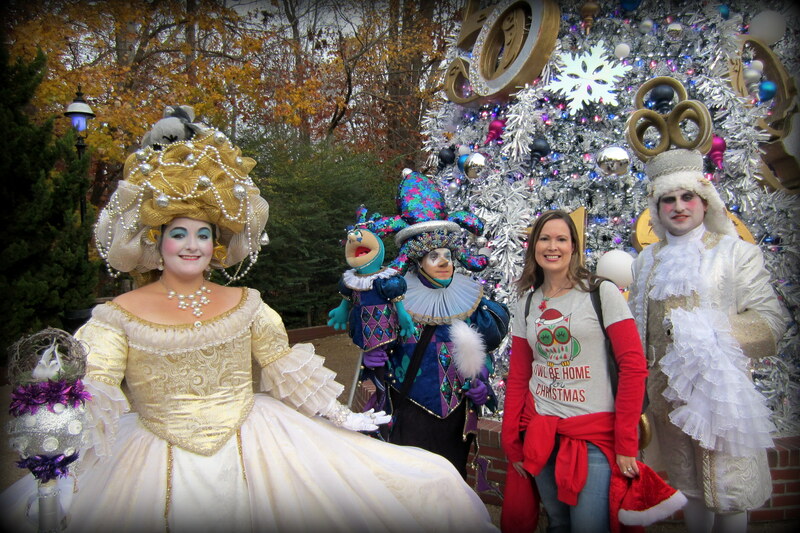 On behalf of the anonymous donor and representing BGWFans and BGW Memories, I was there to welcome them to the park and see them off with the blessing bestowed upon them off with a package of VIP parking, park admission, quick queue passes, photos with Santa, complete meal packages, a cashless wristband with pre-paid spending money for additional gift purchases as well! They were a military family whose father was stationed overseas during the holidays. It was an honor to witness such an act of generosity. I was told they had a wonderful time and were very grateful. For me, that is the spirit of giving! 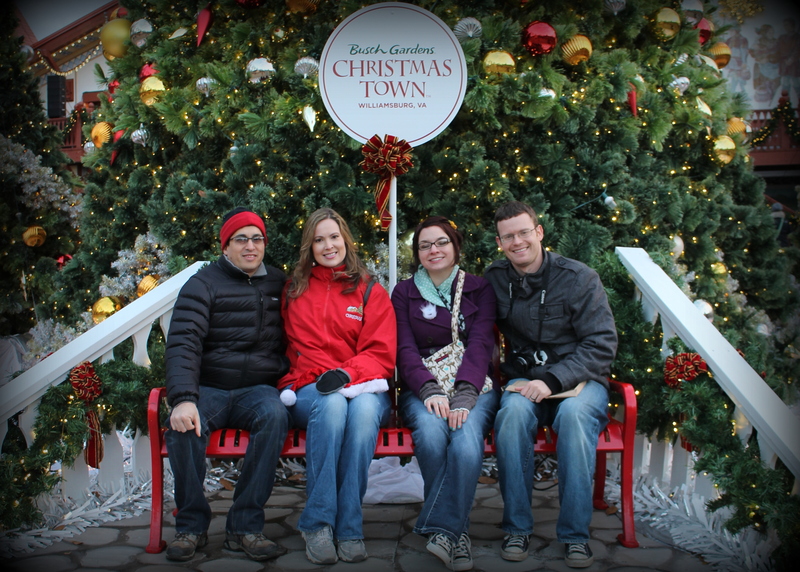 As for my holidays, I spent Christmas Eve with my dearest of friends at Christmas Town. The day was absolute perfection. 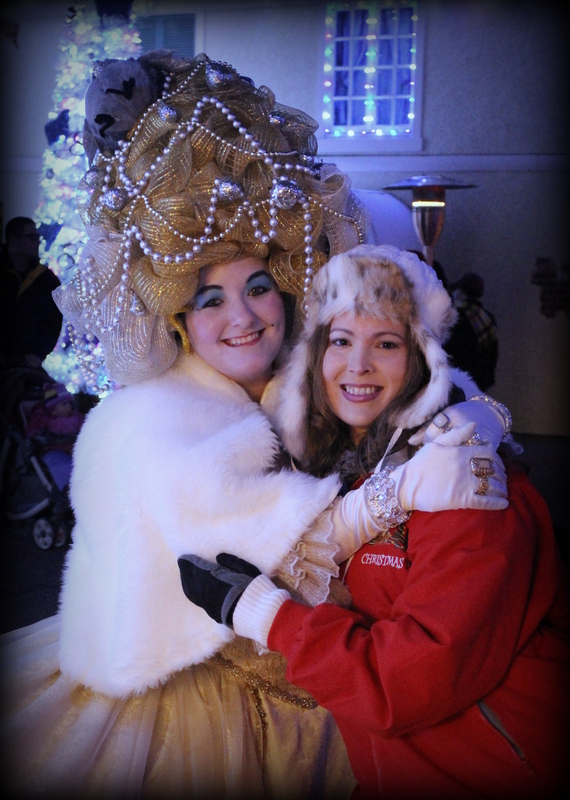 I was also at Christmas Town on New Years Eve. 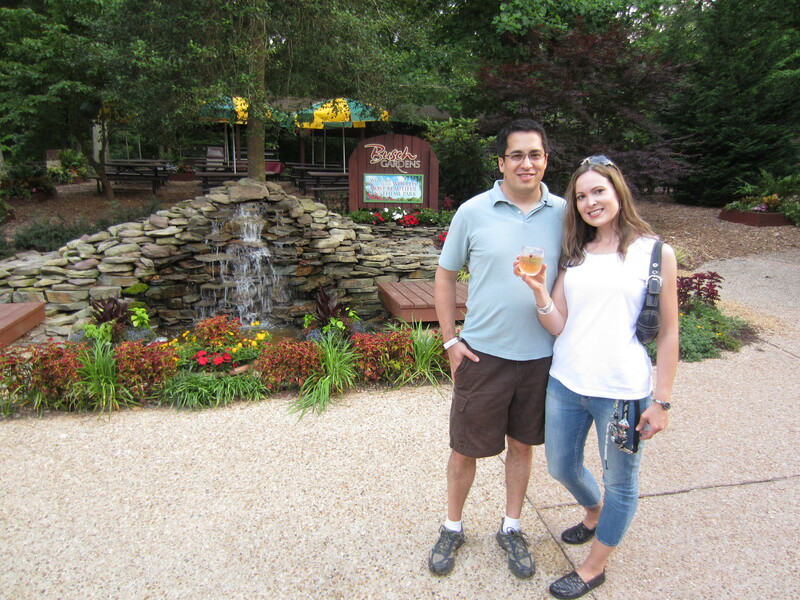 My college buddy, who came all the way from San Diego to spend the day with me and my close friends at Busch Gardens, was a delightful way to say goodbye to 2013. Of course it was sad to see the season come to an end. 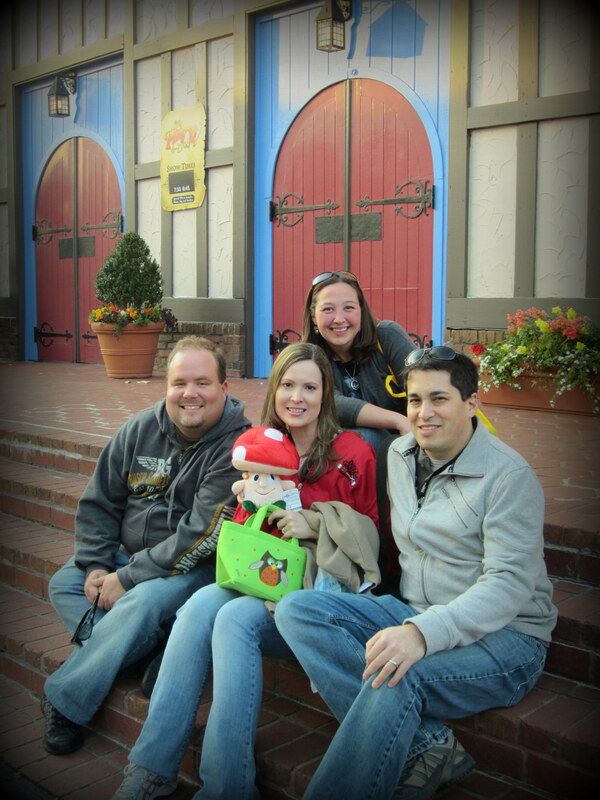 I will miss my Busch Gardens family of friends but look forward to being reunited in 2014. New Friends and a new family through social media! Perhaps I may run into you in the park as well. Please introduce yourself and feel free to share your favorite moments and memories with me! I would love the chance of making a new friend. 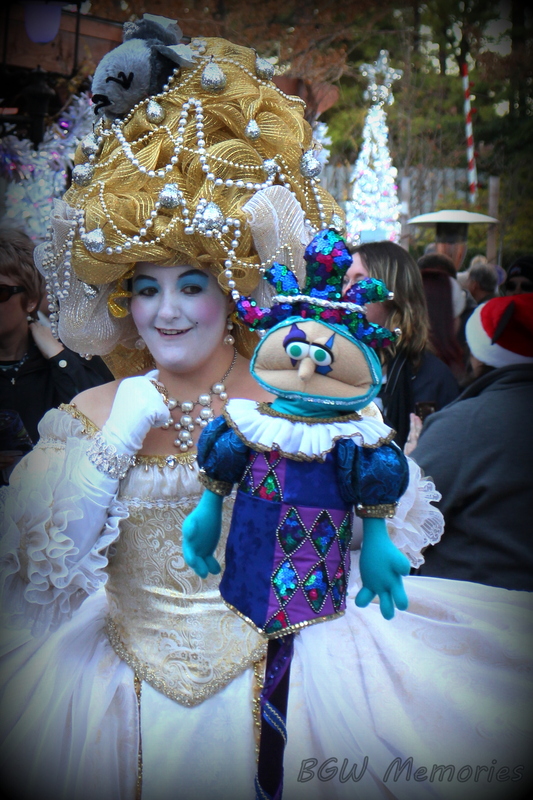 Best wishes for a Happy New Year and a fun filled adventure at Busch Gardens in 2014! My husband: he’s a keeper! >>> A Special Thanks to all those who worked Christmas Town and spent their Holidays providing families with beautiful memories! 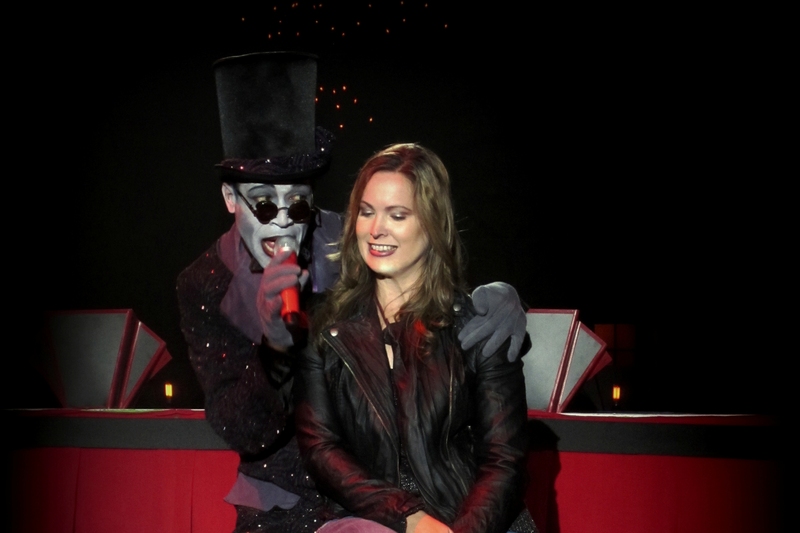 It is hard work to keep up a smile during cold weather and provide great service and perfect performances every night! Thanks for the memories and being such wonderful, beautiful people. Happy New Year to you all! Best wishes to a talented, lovely lady! Hope to see you in 2014! 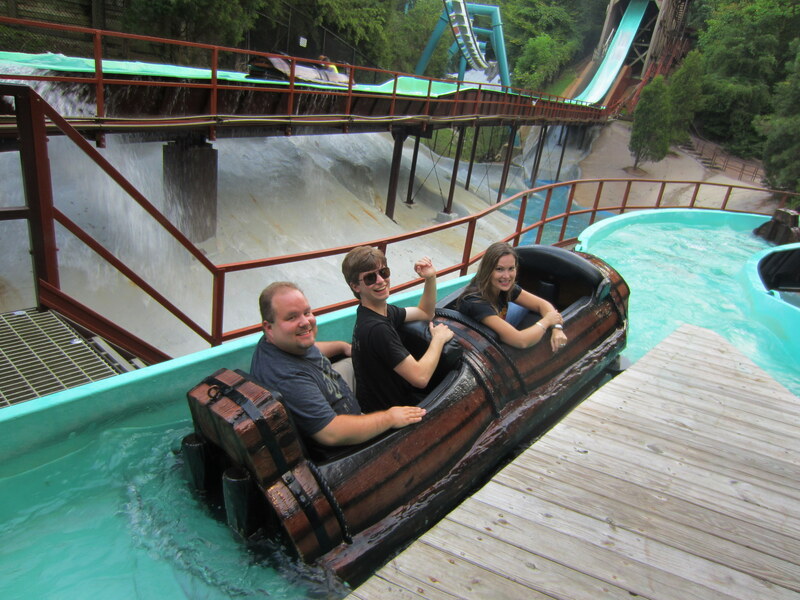 Having fun on the flume! 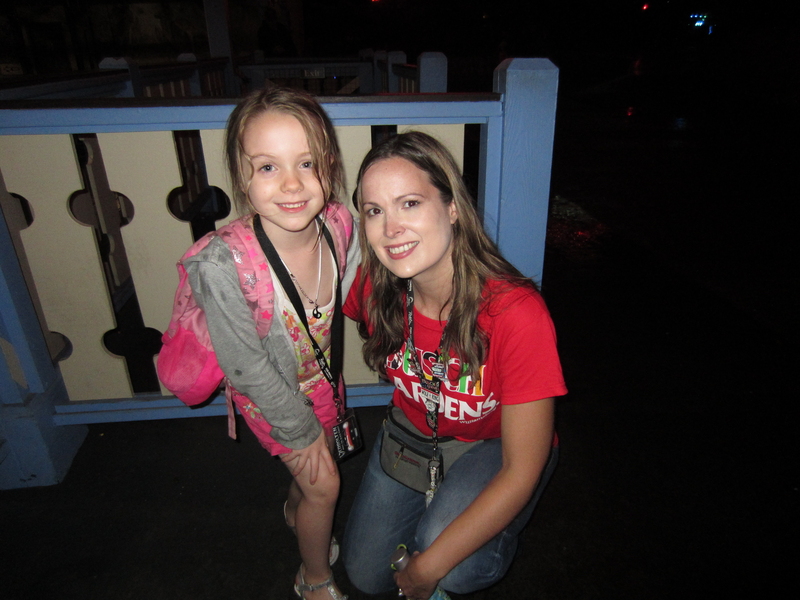 Spending quality time with a young park enthusiast! Late night Verbolten rides are the best! Busch Gardens and best friends. 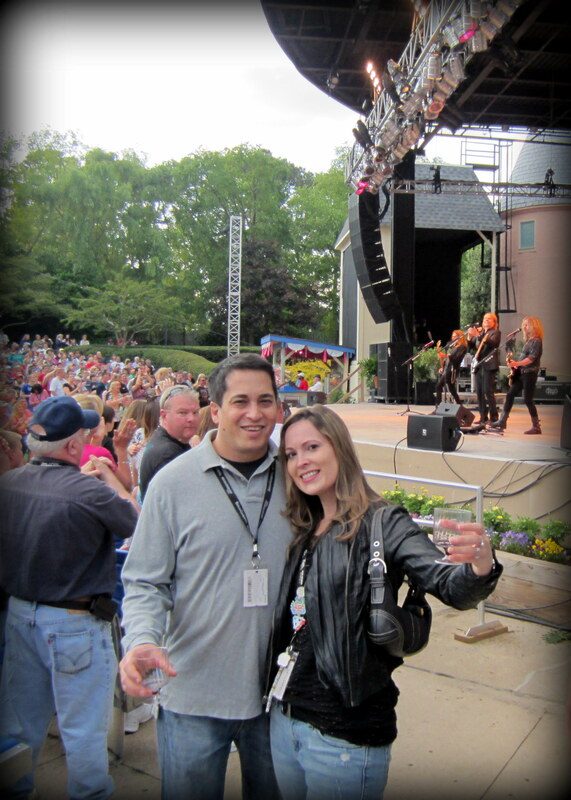 From the Styx concert~ best wishes always!